Harris Search Associates has recruited Dr. Mark S. Johnson MD. MPH as the next Chair of the Department of Community and Family Medicine at the Howard University College of Medicine (HUCM). 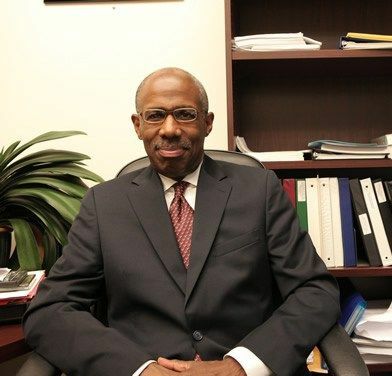 Prior to his current position, he served previously as Dean at Howard, and previously as Chair of the Department of Family Medicine at UMD-New Jersey Medical School (NJMS). He has served as the President of the Association of Departments of Family Medicine and he was a member of the United States Preventive Services Task Force and the NJ Task Force for the Prevention of Obesity. He has been a reviewer for NIH, HRSA, and AHRQ, and he is on the editorial board of the Journal of the American Board of Family Medicine. His research interests include obesity, health disparities, and family violence. He is a graduate of Coe College in Cedar Rapids, Iowa, where he earned a degree in Black Literature. He went to medical school at NJMS and completed his residency at the University of South Alabama Medical Center. He was a Robert Wood Johnson Clinical Scholar at UNC-Chapel Hill. Reporting to the new Dean Dr. Hugh Mighty, Dr. Johnson will provide oversight of the educational programs and shape the vision for department innovation in curriculum and training. As the next Chair, Dr. Johnson will ensure the continuation of a strong working partnership with Howard University Hospital and work to develop additional partnerships for medical training. In addition, he/she will build enduring relationships with critical external community partners and local, regional, and national government leaders.